As I prepare for this blog, I ask the Holy Spirit to give me a word or a theme to share. 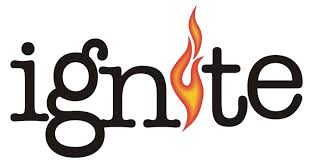 Today the word IGNITE came to me. I know this word is HEAVY on my heart because if you are like me, you are wondering what happened to January?? Today is already the 21st of the month. It’s time to IGNITE our goals and dreams. You must separate your mind from all fear which limits you from achieving your goal. My prayer for you is that you take some time to write down your dreams. Make sure you write down what you really want if you knew you would succeed. You see if you don’t see yourself completing it, you will not complete it. If you tunnel vision of what you truly want the brain can begin to developing a plan of action to get you there. I can’t tell you how many times, I have decided on a vague goal and I never reach them because I don’t detail it out. The success lies in the details. Get concise details to the way you want to look, what you want to have and what you want to be on December 31, 2105. Which is only 344 days away. IGNITE your dreams today! !